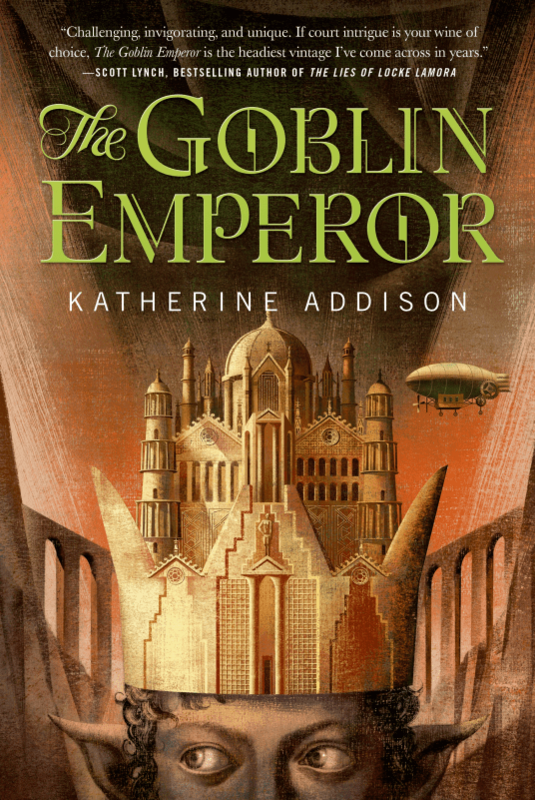 We continue our ongoing new series of posts called “SFF in Conversation” with a guest post from Katherine Addison, author of the recently released The Goblin Emperor, hands down our favourite book of 2014 so far. Today, Sarah is here to discuss The Goblin Emperor within the Grimdark tradition. Please give it up for Katherine, everyone! I’ve had a lot of health problems the last few years, and thus haven’t been paying very much attention to what’s happening on the internet. I only became aware of “grimdark” even as a word a couple of months ago, so the first thing I did when starting this post was to look for a definition. TV Tropes, although it doesn’t use the word, is probably the most useful (under Darker and Edgier. Wiktionary, on the other hand, is the most concise. Urban Dictionary and Know Your Meme suggest the word first came into use around 2008, and sites like Grimdark Reader and Goodreads’ Popular Grimdark Books give a sense of what fantasy novels fit the sub-genre definition. So for anyone who is no more familiar with the term “grimdark” than I was, voila, you have some pointers. This whole etymology and definition hunt matters, in regard to The Goblin Emperor, because it would be very easy to claim that I wrote it as a response to grimdark, and while that makes a very neat and satisfying story, it’s not true. 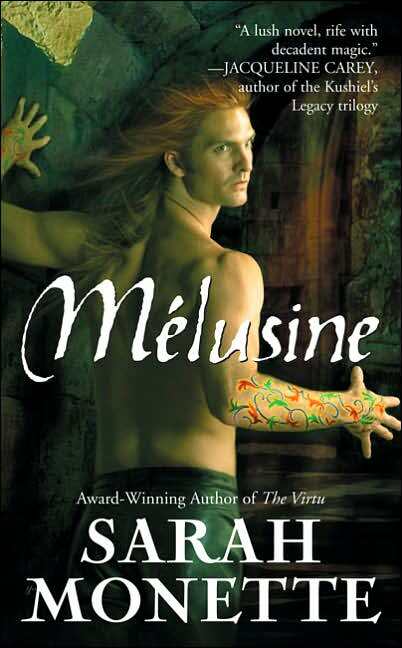 I started The Goblin Emperor (according to my notes) in 2003, and if it’s a response, or reaction, to anything, it’s most likely my own books, the Doctrine of Labyrinths quartet (Melusine(2005), The Virtu (2006), The Mirador (2007), Corambis (2009)), which are as grimdark as anything, even if there wasn’t a word for it yet. In general, I’m in favor of the aesthetic being called “grimdark.” I’m fascinated by dystopias; I love noir; I prefer antiheroes to heroes. And on its own merits, The Goblin Emperor‘s set-up is fairly grimdark: the protagonist is abused and powerless, the empire is dysfunctional, if not actually dystopian, and of course the whole thing begins with a Hindenburg-esque disaster that throws the entire government into convulsions. I don’t entirely know why the story turned in a defiantly non-grimdark direction, except that my protagonist, Maia Drazhar, refused, resolutely and absolutely, to be an antihero. 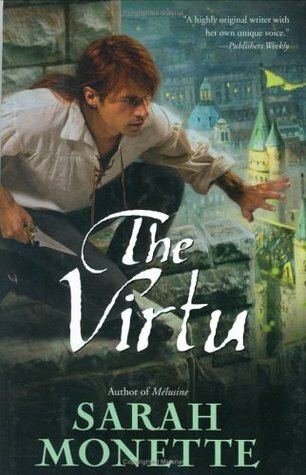 In Chapter 2, when he manages to get the better of his abusive cousin by using his newfound power as emperor, he barely gives himself enough time to appreciate it before recognizing that he can’t allow himself to get used to using his power that way: “It was heady, but he knew it was also poison.” Maia is alone at the beginning, and he’s certainly in over his head, but in a very crucial way, he isn’t lost. He has convictions to give him courage, and he follows those convictions with an obstinacy that becomes bravery, even if he himself doesn’t recognize it. If you find the convention of giving imaginary people agency too twee, I can reformulate the change to argue that after writing someone like Felix Harrowgate, who would have taken an entire book and a series of interpersonal disasters to come to the same realization, I wanted to write someone whose ethical compass could find true north and stick to it. Maia is self-aware in a way Felix isn’t, and he remains determined to do the right thing even when it would be infinitely easier not to. This could, of course, have turned into a Candide-like satire, in which Maia’s compassion is met at every turn by betrayal and derision. And it’s not that betrayal and derision don’t happen, either; the Elflands are not a Utopia. But I wanted to write a story (reflecting my own ethical beliefs, which I get more fierce about as I grow older) in which compassion was a strength instead of a weakness. Grimdark is, in some ways, another iteration of Byronism, and it has the same potential flaw of becoming self-congratulatory about its darkness, pessimism, and cynicism. After a while–and this is, as I said, speaking as a practitioner of grimdark myself–I just get tired of it. It was a relief to write someone who didn’t think that way, a relief to write a world that didn’t work that way. Grimdark is not the only color. Grimdark as an iteration of Byronism is an excellent formulation. So would it be correct (if reductive) to say that The Goblin Emperor is more Blake than Byron? (I will have my own opinion on that soon, but I haven’t read it yet). I was already impatient to read this book, and now I’m sitting on the edge of my seat. After a while–and this is, as I said, speaking as a practitioner of grimdark myself–I just get tired of it. It was a relief to write someone who didn’t think that way, a relief to write a world that didn’t work that way. WHM’s question about Byron vs. Blake is fascinating to me. I’ve read The Goblin Emperor twice now (it’s an absolutely invaluable book for me to keep hold of my anxieties as I finish revisions on my PhD dissertation). It hadn’t pinged my Blake radar, but there is something of Blakean innocence in it…I shall have to think more about this question. I finished The Goblin Emperor and immediately started it over again, it was so enjoyable and well-fashioned and honest. I have not read your previous previous books, Katherine Addison/Sarah Monette, but I think that this one does sit interestingly in response to several bigger cultural trends. Not just “Grimdark” but a bigger tendency to valorize cynicism, ironic detachment, sarcasm, satire, etc. (I am not sure whether I approve of many of the calls I’ve started to see for a return to radical sincerity and faith, especially in the political sphere, but I think fantasy has to be the place to explore these things!) One of the small details that I appreciated especially in Maia was his understanding that sarcasm– which is so often held up as the sine qua non of admirably intelligent discourse (I think of the love for Snape in so much of the Harry Potter fandom) — is cruelty when it comes from a higher register of power. I recently read and adored The Goblin Emperor. My experience with Ms. Addison/Monette’s prior work is limited to her novella, A Gift of Wings, which I also liked very much. I was wondering if she could tell us what she has in the works, and whether her next project will be grimdark or, like The Goblin Emperor, bright with optimism? I have now read The Goblin Emperor. It more than lived up to the hype. I don’t know that it’s fully Blakean but it’s more Blakean than Byronic and quite delightfully so. Delightful and heart-wrenching and down-to-earth and full of emotion and dignity. Also: I didn’t think it was possible for something like this to happen, but Ceredin has displaced Sabetha as my main fictional (heterosexual) crush. The Goblin Emperor is the next book on my reading list, I can’t wait to start it after reading this post!